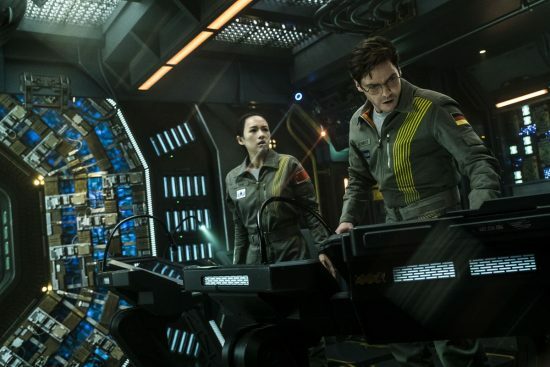 I like just about everything there is to do with The Cloverfield Paradox, bar the movie itself. I think it’s really cool that these movies are all surrounded by mystery regarding their production and release. 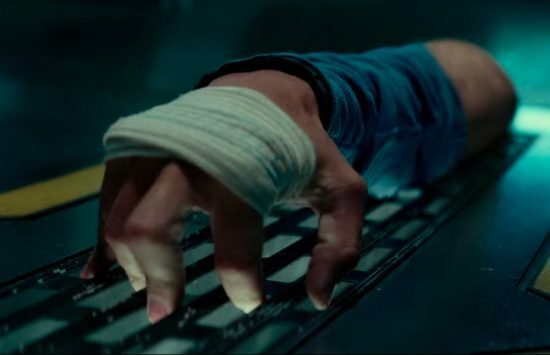 I like that Cloverfield has become a horror/science fiction anthology series and I enjoy the fact that they just seem to release very suddenly with very little fanfare. That praise quickly falls apart then when you begin to look into this movie and see how it started out and how it seemingly stumbled its way into being the third entry into the Cloverfield anthology. Paradox started off life as a spec script titled “The God Particle”, one that had been floating around since 2012. It was only half way through filming that J.J. Abrams figured out how to actually connect it to his Cloverfield franchise, and it shows. The Cloverfield Paradox takes place in a near future where an energy crisis is threatening to plunge the world into a global war. As a result, a group of multinational scientists and engineers are sent up to the Cloverfield space station in order to build a particle accelerator that could provide the planet with an unlimited energy supply. 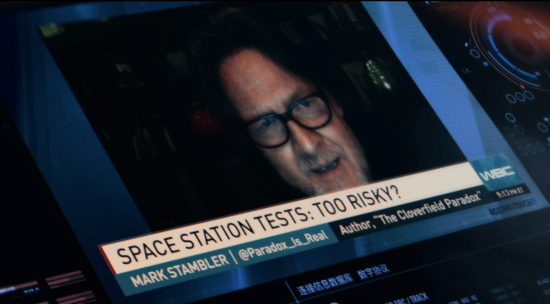 We start to get a sense of the danger of the mission with the mention of a “Cloverfield Paradox”; an event that the accelerator could cause that might break the barriers between parallel dimensions. So no prize for guessing what happens during the device’s penultimate test firing. The movie does have an intriguing starting premise. When things start to go wrong, the movie does a great job of showing the subtle “wrongness” of reality around them. The early stages of events focus on a subtle horror, including bizarre visual events and effective body horror. It poses a lot of very interesting questions through the unexplained events, that makes you wonder if the Cloverfield station itself has taken on a sinister intelligence and is out to get its crew. However, as the final act starts to play out, the tone and events of the movie change direction pretty drastically, and not for the better. The final act becomes a “locked in with the killer” style slasher, non-explaining away all of the earlier events as “dimension stuff”. It left me frustrated with the movie, as it readily discards the most interesting aspect of the movie for a more tangible, and less interesting antagonist. 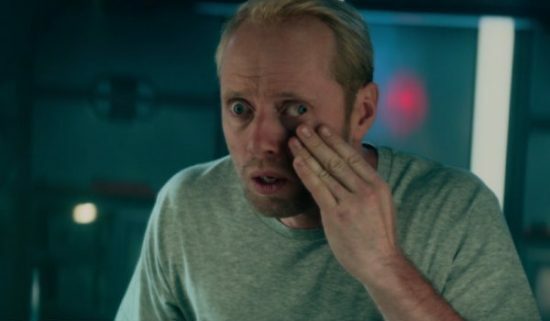 The unexplained nature of the events on the ship are among the highlights of the movie, character’s body reacting in strange ways, things seeming to teleport and fuse together with other parts of the ship, and its crew. These events can be difficult to watch, and they’re really effective. It’s how they’re handled that takes away from their full impact. After losing his arm inside the wall of the ship, which is a disturbing image and scene. The character it happens to blows the whole thing off as a joke, but not as a coping mechanism, he genuinely comes across like it’s not that big of a deal. This leads to the event that really just threw me out of the movie: The lost arm shows up, crawling around on its own. It’s something that could have been really creepy, but instead adds another touch of unnecessary humour. It’s the point where the arm mysteriously starts motioning for a pen and writes a message that serves as a major plot point is when I turned against the movie. This disembodied arm seems to hold important information that nobody else on the crew has, including its original owner. Plus, the reveal that comes as a direct result of this information is integral to allowing the movie to move forward. It’s such a Deus ex Machina that I vocally said “What? !” when it happened. After this point, other parts of the station continue to try to want to kill the crew, which raises further questions about why the arm helps them when everything else wants them dead. I was hardly expecting a solid explanation of these events, but it really is just brushed aside. Never getting a real conclusion as the movie veers in a totally different direction for its finale. It’s this disconnect that really causes me to not care about what’s going on. The weird goings on were the only thing keeping me interested in the film, because it certainly wasn’t the characters. Aside from the main character; Ava Hamilton, none of the other characters are fleshed out in the slightest. Most of them get no more character development than the badge featuring their country’s flag on their shoulder. The only other character who sticks out is the Chinese engineer, who exclusively speaks mandarin. Everyone else on the ship speaks English, which she seems to understand perfectly, and everyone understands her. But considering the circumstances and importance of the mission, misunderstanding one another could have dire consequences. It seems like such an arbitrary decision by the film makers that contributes to the movie feeling like a collection of ideas rather than a single, strong line. There really is too much going on here. Early conflict between the characters surrounds the political strife and unrest back on Earth. This causes equal amount of tensions on the station. While stronger movies than this have always avoided cutting away to Earth at all, Paradox does periodically cut back down to ground level. When it does though, it focuses entirely on Hammond’s husband, who seems to be experiencing events through off screen explosions and phone calls. The cutaways feel unnecessary to the meat of the movie, its only at the end of the movie that you see these cutaways were there to set up the reveal at the end of the movie. Honestly, I like that Cloverfield has become an anthology horror/science fiction series. It means we can get different takes and unique stories every time. A lot of people criticised 10 Cloverfield Lane like I’m criticising this movie for its ending twist. 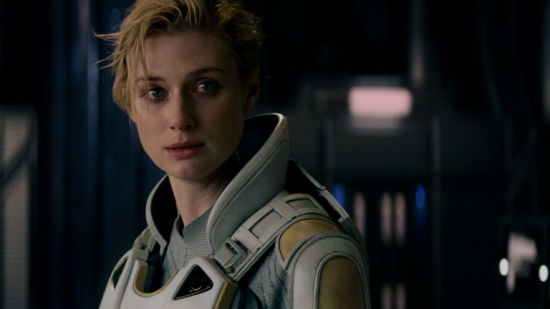 But while the alien reveal there did feel very jarring in comparison to the rest of the movie, the strong cast and events beforehand earned its silly ending action sequence. The reveal of the Clover monster at the end of this movie feels like a floundering grasp at some good will from its audience. Don’t get me wrong, I’d love to see another movie featuring the Clover monster from the first movie, but its appearance here feels desperate. It goes along with the story that Paramount had so little confidence in the product that they sold it off to Netflix. 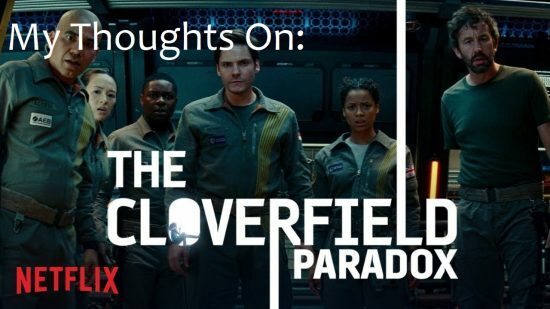 The Cloverfield Paradox is a lot of great ideas, thrown in together without anyone questioning that maybe a few could have been left out. I’m bummed out by this movie, and I can’t recommend it. The fact that the next movie in the franchise, “Overlord”, has already been announced seems like an odd choice considering how these movies usually market themselves, I really hope that they can get the Cloverfield train back on the tracks. There is so much I like about this franchise, just not this movie. Posted on February 16, 2018 February 15, 2018 by WooderonPosted in Movies, My Thoughts on:Tagged 10 cloverfield lane, cloverfield, j.j. abrams, Netflix, review, the cloverfield paradox.